BitArtist.org: LED flower vase supplementary note. 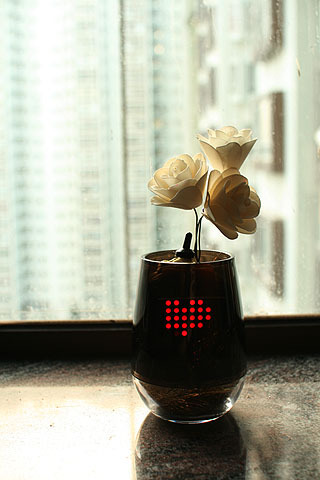 LED flower vase supplementary note. Some of the viewers requested for the source codes and also the circuit diagram, kaas is no longer working on his blog, so let me write you all a supplementary note. The complete working source codes: Download Now (Only tested compilation on Mac OS X with avr-gcc). Send me your led vase's photo if you successfully made one:) Have fun! Draw your circuit on paper!